We’ve been growing food in our backyard for a few years now, from our productive planter box to a sequoia-esque tomato tree that we believe started as compost. But I’ve never, ever been as excited about anything we’ve planted than I am about this corn. According (accornding?) to the legend, corn should be knee-high by the 4th of July, and ours is already ahead of the game. 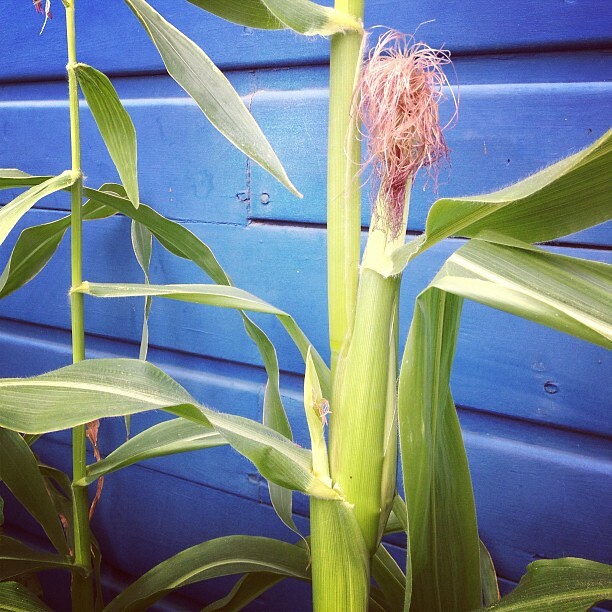 With any luck, we’ll be having corn-on-the-cob in a few weeks. This entry was posted in eating, growing. Bookmark the permalink.